Minted is my favorite company and go to place for cards, stationery, and invitations. You may recall Minted did our Christmas cards this past year. and the delivery is quick and accurate. 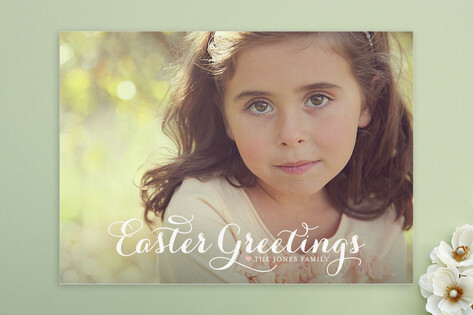 These first 2 photos show a couple samples of Easter cards available. If you are hosting a brunch or get together, why not invite them in style? They even have little gift tags! 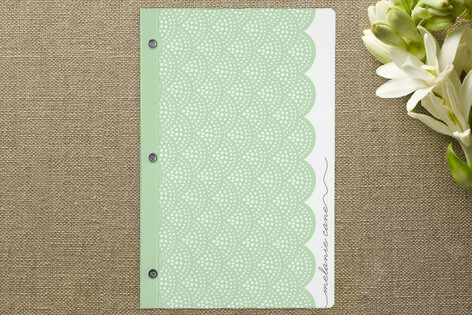 I think this stationery would be so cute tucked in an Easter basket! And, speaking of Easter baskets, I am getting 2 journals for my kiddos this year. They like to have one special place where they can write down their thoughts, or just doodle. a $50.00 credit towards any Easter item, or items! Head on over there and browse around the Easter section, and while you are there, check out what else they have to offer! It's a feast for the eyes! Leave me a comment on this post as to what products you would choose if you won. share it on facebook, or tweet it. i would get the shabby she personalized stationary! love the pastel dyed stripes Easter card! thanks for the chance! Awesome giveaway!! The Easter stuff is so cute. I also love the baby announcements. Wow! MInted has so much lovely stuff. I would order the skinny addresss labels, the gift tags and the chevron journal. My daughter just used them for her wedding invites...gorgeous stuff! I'm looking to replenish my business card stock for my calligraphy business, so I would use the money for their AMAZING business cards! So many great items...I would choose the skinny adress labels and the round flourish personzalized stationary! Oh my gosh, I feel like a kid in a candy store. What shopping, what shopping. 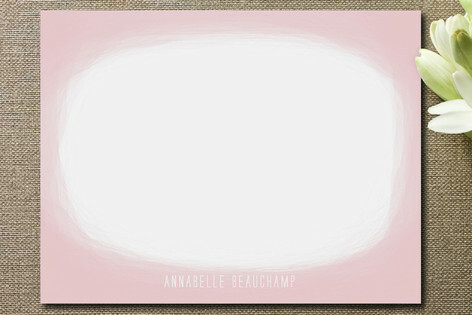 I simply adore the beautiful striped Easter cards, but that beautiful shabby personalized stationery is DDG as well. Love, LOVE those little labels too. It would be so hard to chose, but I could force myself. I posted your give away in my scroll bar on my blog. I love sharing wonderful giveaways with my friends. I would pick the journals. I love them. I love the cute communion invations, since my daughter is making hers soon, it would be perfect!! 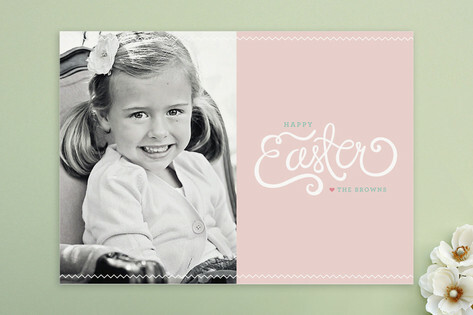 I would get the bellabunny children's personalized stationery and also some initial wreath personalized stationery! I'd love to do an Easter card as we never got around to doing Christmas cards! I would love to win this! My hubby is graduating from medical school in May. I'm giving him a casual party afterwards so I'd select the Rustica BBQ invites! Thanks for the opportunity! I LOVE the Hatched Chick gift tags and the journals are a adorable! Love the journals and also would maybe choose some stationery. Lovely products! (And for those of us who like your musical taste will there be an option to access your choices?) As always, love the blog! :) The gift tags and the journals are beautiful. I think I may just have to have an easter brunch so I can use these products. Really sweet stuff. I really like the Love in Bloom and Happy Garden journals! How fun!!! Beautiful Easter cards. I love the photo stationary. I think I would get the Uplifting Easter Easter Cards! I hadn't heard about Minted. Beautiful things! 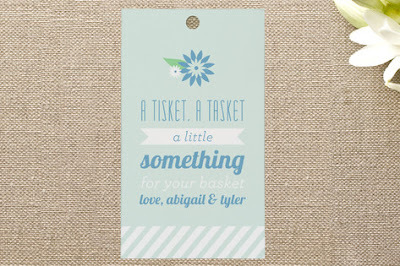 I love the hello birdie stationary and it would be perfect for our family's bluegrass gospel ministry! Thanks for the giveaway! What a fabulous giveaway!!! I love Minted. They have so many amazing cards. I really like the "Hatched chick gift tags" and the "By Hand Easter gift tags". also love the skinny address labels. SO much to choose from...but I think I would pick the journals. My kids love them too! Thanks for the chance to win!! A tisket a tasket! !...i like that very much!! I love the Easter Stripes card...and Minted. They are wonderful!! I love their beautiful birth announcements, which would come in handy considering our baby girl is 3 weeks old on Thursday! I love the journal with the scalloped edge. how do I choose? They're all great. Love the prefectionist personalized satationary as well as the round flourish personalized stationary. The Cheers New years photo card as well as the Be Merry are perfect. Can't wait to see if I win! 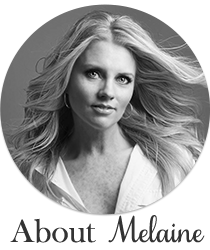 I love your blog--and I love Minted!! Their journals are my favorite!! 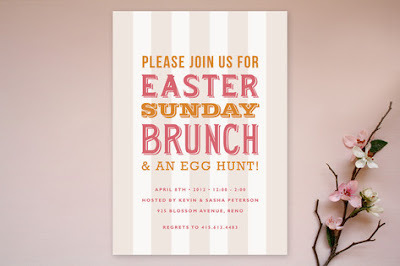 Love the Hello Birdy stationary and the Happy Easter Journal and....you could go on and on. She does very nice design work. I LOVE the journals you can personalize...sooo cute! They have so much cute stuff it's hard to choose. The color block journals are beautiful! How to Win Your Ex Lover Back - "I suggest you read this. "‎Contact: [email protected] for Urgent Love Spell To Get Your Ex Lover Back Fast, VERY POWERFUL:100% GUARANTEED RESULTS! Thanks to Dr.Unity for bringing back my wife and brought great joy to me and my family today!. he is so powerful and i decided to share my story on the internet, if you are here and you need your Ex back or your wife moved to another man, do not cry anymore, contact this powerful spell caster now. Here’s his contact: Email him at: [email protected] , you can also call him or add him on Whats-app: +2348071622464 ,his website:http://unityspeltemple7.blogspot.com.